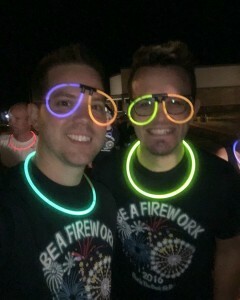 Hello, Fellow Fireworks! It is time to get your firework on once again. 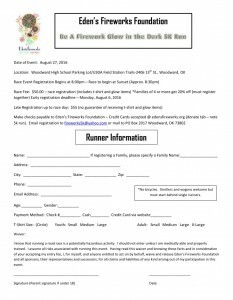 Registration is open for our 5th Annual Be A Firework! 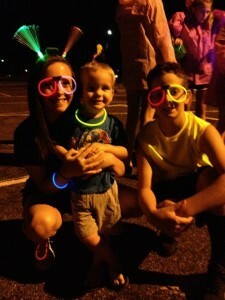 Glow-in-the-Dark 5k. Mark your calendars now for Saturday, August 26, 2018. 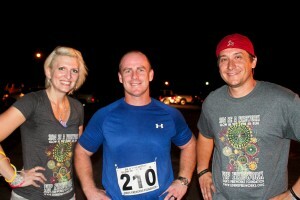 Registration and packet pick-up @8p. Race at sunset. 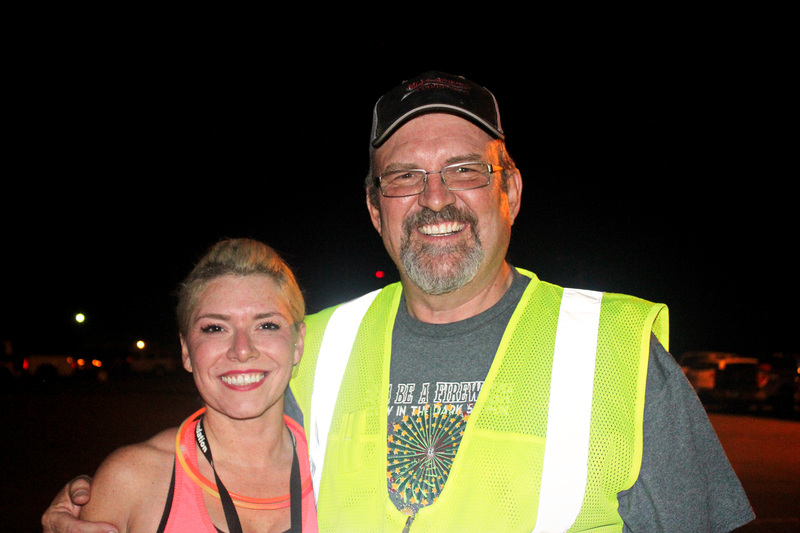 Starting line in the Woodward High School parking lot. Fireworks Show 45 minutes after start of race. 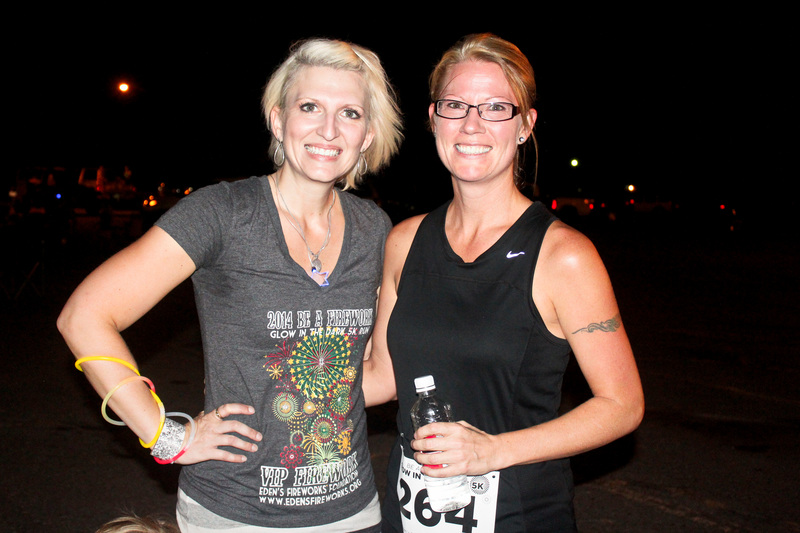 Early registration deadline is August 9 so don’t delay! Get all the goods for $50! 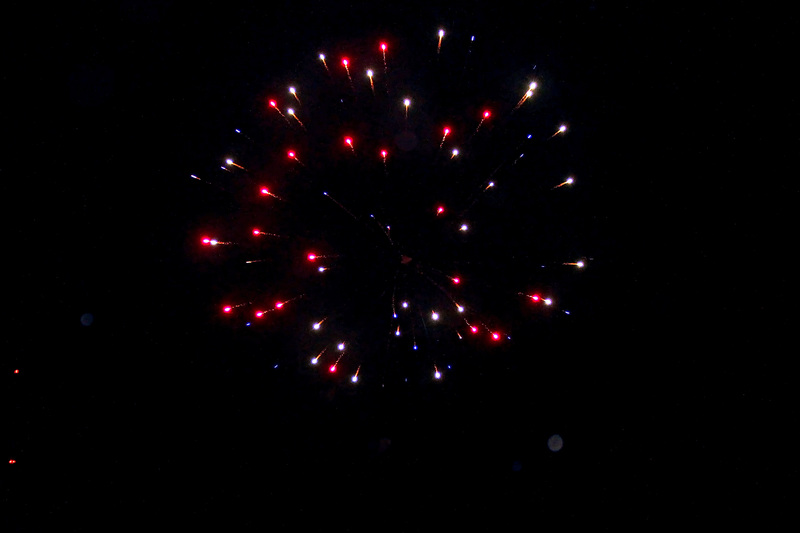 Or by clicking on the Be A Firework Tab on this awesome site. From there you can pay via PayPal and add a note to the seller it is for the 5k. Then get ready to rock-n-roll. AND glow. We are still looking for sponsors so if you or your business is interested in sponsoring an incredibly worthy cause, contact us ASAP (there’s a tab for that, too). Well, it is officially November 1 and that means it is officially Christmas for Eden’s Fireworks. 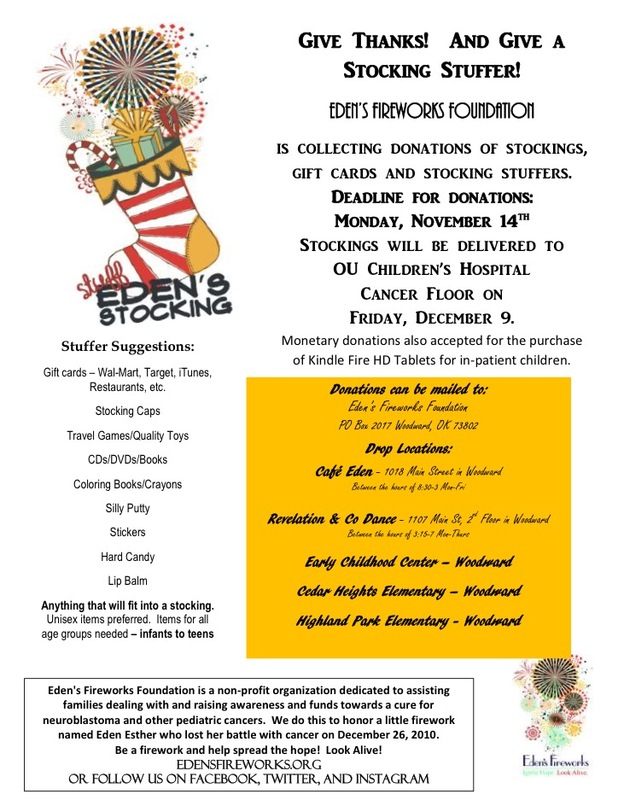 We are gathering up stocking stuffers and good ol’, cold, hard cash for stockings filled with all the cool stuff and Kindle Fire Tablets for children fighting cancer at OU Children’s Hospital in OKC. 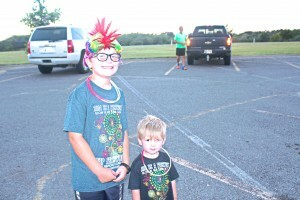 We are on the look out for small, but quality, toys, CDs, DVDs, hats, gloves, socks, pocket games, puzzles, coloring books, activity books, reading books, markers, crayons, balls, silly putty, chapstick, and the like….. DEADLINE FOR ALL DONATIONS IS NOVEMBER 14. 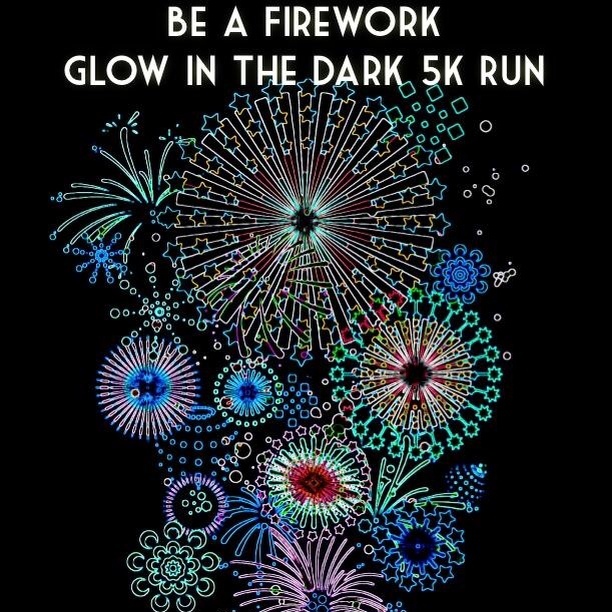 Thanks in advance for being a FIREWORK! And spread the word! Our annual glow-in-the-dark 5k is almost here!! 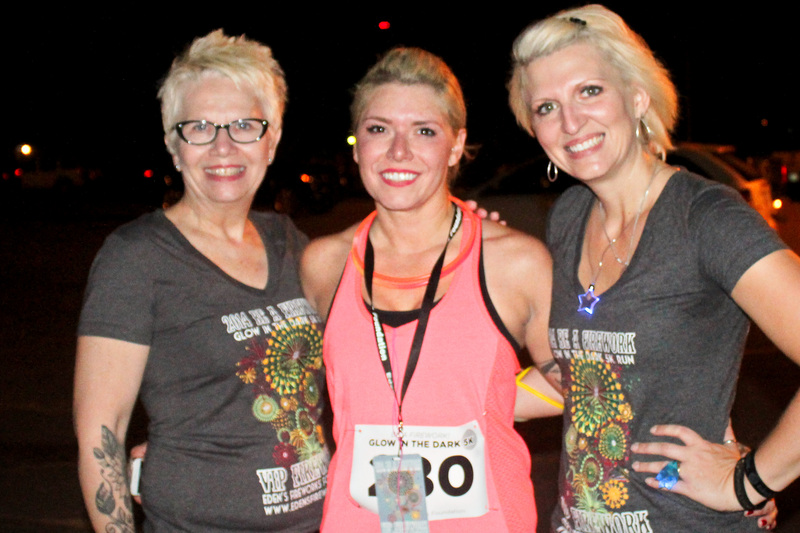 Register now to get the early bird rate and reserve your glow-in-the-dark t-shirt and, NEW THIS YEAR, a firework runner’s medal. 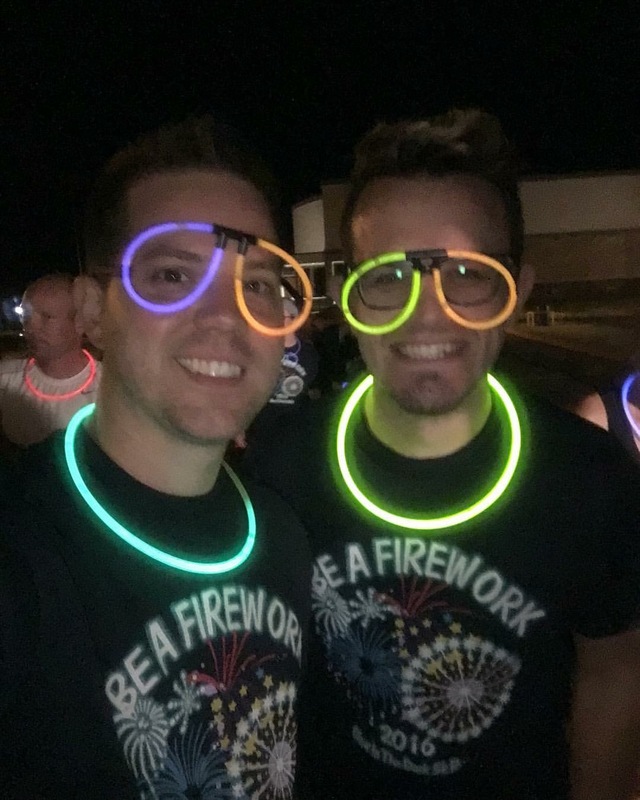 When: Saturday, August 27, 2016 8pm – registration/packet pick-up Sundown – 5k Where: Woodward High School parking lot/USDA Trails 2406 13th St in Woodward Why: Because you want to BE A FIREWORK, spread light by supporting families fighting childhood cancer, and HAVE FUN!!! Or email it to the email address on the form. REGISTRATIONS THROUGH ANY OTHER METHOD (ie, facebook or text) WILL NOT BE ACCEPTED. Credit cards are accepted for your registration. 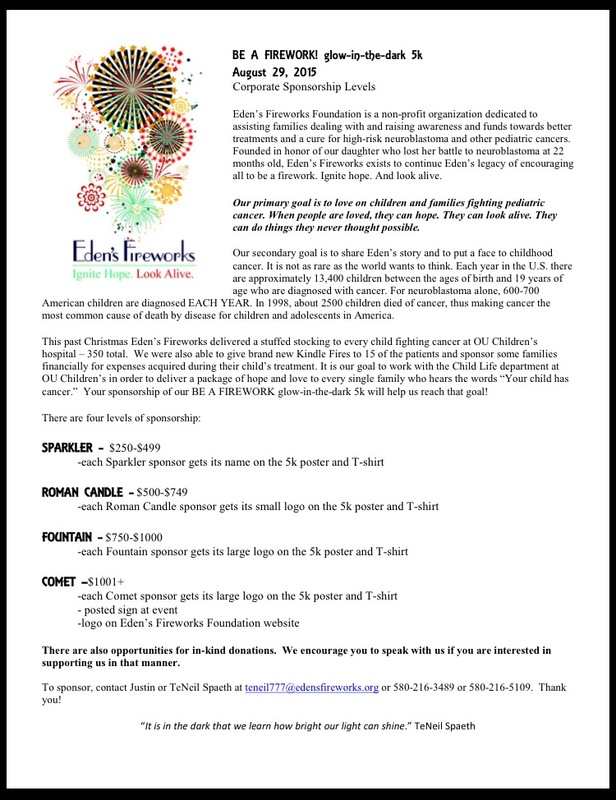 Just click on the DONATION link on this site (under the Be A Firework tab) and make sure to put “5k” in the note to seller. The next step is to wait patiently for August 27!!! 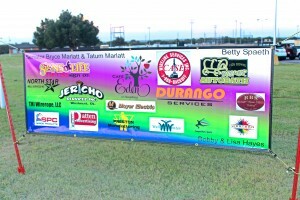 We are still looking for sponsors and volunteers. Please contact us to help!! The time is here. The time is now. With such negativity going on in the world at the moment, think how positive an experience being a firework for childhood cancer will be! Register now! 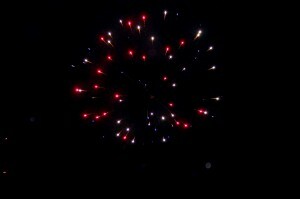 Be A Firework! 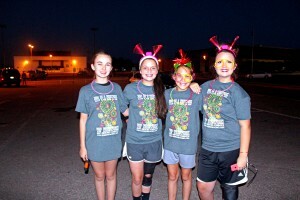 glow-in-the-dark 5k is Saturday, August 29 at sunset. Then get ready to have a blast! 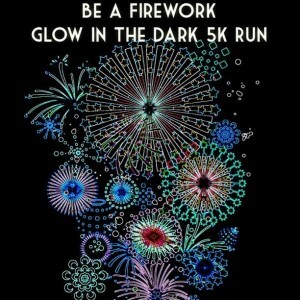 Fireworks show immediately following the 5k. 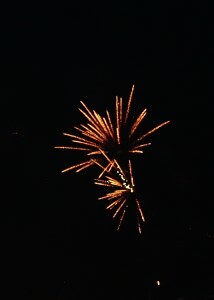 Much love and firework on! 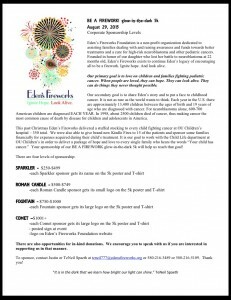 Eden’s Fireworks Annual Be A Firework! glow-in-the-dark 5k run is coming soon! 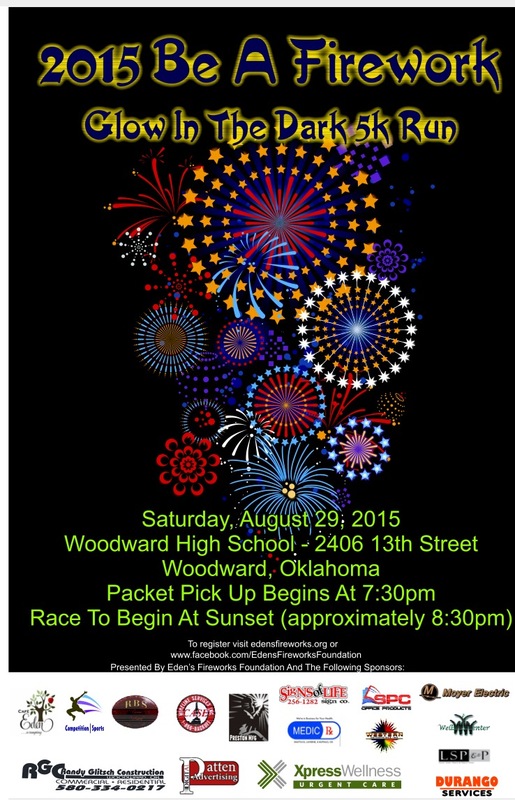 Mark your calendars for Saturday, August 29. You won’t want to miss it! 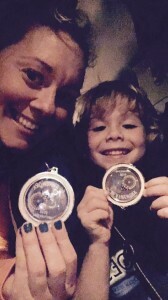 We are looking for sponsors for our race. Please contact us if you or your business would like to sponsor. So, it is Christmas Eve. Hopefully, all of the gifts are wrapped and under the tree, Christmas cards are mailed, and the items on your Christmas to-do-list are neatly checked off. If not, well, Christmas will be here tomorrow whether we want it to or not, and, most likely, the incomplete tasks will go unnoticed. Over the past month or two, I have read a number of blogs and articles about quitting Christmas, reinventing Christmas, paring down Christmas…..the evils of commercialism, Santa, Elf on the Shelf, the Christmas tree itself, yadda, yadda, yadda……. Maybe it’s my eternal optimism, but I couldn’t disagree more with most of what I have read lately. Yes, I have heard valid points. There are problems with the world and how they interpret the holiday. As long as there are humans on the planet, there will be problems. Good will be twisted and misrepresented. That means we should give up on the good all together? I think not. The first complaint I hear the most is about commercialism, and Christmas being pushed down our throat right after Halloween. “For God so loved the world, that He gave His ONLY begotten son, so that we might not perish, but have everlasting life.” I don’t know, but that is something pretty big. Something that should be celebrated all year long, but why not make a big deal about it for about 6 weeks of the year? I know. I know. Wal-Mart is not advertising Jesus in the manger. They are after the almighty dollar, but, honestly, if I were the people behind Wal-Mart, I would take advantage of this time of gift-giving, too. That’s how America works. And maybe the motives are all wrong, but maybe it’s time to celebrate the good that comes with the arrival of Christmas so early in the year….the reminder that we did nothing to deserve His love, and, yet, He loved us anyway. I think that is worth pondering and just maybe that pondering will lead to a big dose of Christmas spirit instead of a case of the bah-humbugs. Santa. That evil Santa. Stealing Jesus’ spotlight. Last I checked, Jesus really doesn’t need help in that department, but let’s talk about Santa for a moment. Did you know that St. Nicholas was a wealthy man who gave up all he had to help those in need and be a protector of children? He saved daughters from being sold into slavery because of their lack of a dowry, he saved men from execution, and he lobbied for citizens to protect them from an overpowering government. He was imprisoned and persecuted for his unwavering belief in Christ. He spent his entire life showing others how to love God and care for each other. What if we concentrated more on who the real Santa was and why he was celebrated in the first place? A couple years ago, I started reading little stories about St. Nicholas to my kids right before Christmas and began a dialogue on his exemplary behavior. What is it that Christ called us to do? Wasn’t it to love God and love each other? St. Nicholas was a perfect example of Christ’s commandment. And Christmas is the perfect time to shine a light on real life Christ-like examples, so, in my opinion, there is room in our house for Santa Clause and the sacrifice, kindness, and love he represents. I will say that I do tame down the “he only brings toys to good boys and girls”, because that is conditional love, which is, clearly, the opposite of God’s love for us, and Santa only brings one or two things to each child at the Spaeth house. Mom and Dad get credit for the rest of the gifts. The rat race. Pinterest. Gift lists. Parties. Obligations. Dirty Santa. Cookie Swaps. Pagan traditions. Again, I say, yadda, yadda, yadda. All of it does get overwhelming. Here’s an idea? If you don’t enjoy it, don’t do it. Don’t show goodwill out of obligation. It defeats the purpose. If celebrating Christ’s birth by making homemade gifts and handmade gift tags excites you, do it!! If it doesn’t, then you aren’t doing anyone any favors. If you love buying gifts for almost everyone you know (which I do) and you have the money to do it, then bring on the gift list! If it feels daunting and you are going to go into major credit card debt doing it, I’d lay off of the online shopping. We all have choices in life. If you are making those choices out of obligation or out of feelings of insecurity because your neighbor makes all her own cards, puts up 10 Christmas trees, and has perfected the snowman cake complete with organic sugar and all natural color dyes, you aren’t celebrating Christmas. You are digging yourself a hole of regret, guilt, and condemnation. The exact opposite of the idea behind it all. This year has been one of the craziest holiday seasons for me. I started a dance studio this year, so that meant extra time out of the house and ordering costumes before the end of the year. I also volunteered to get involved in our community theatre which meant sitting through 5 days worth of Grease auditions the week before Christmas. Eve and I decided to make handmade gifts for all of her cheer team, her teachers, and other family helpers, like Eve’s piano teacher and Jasper’s sitter. 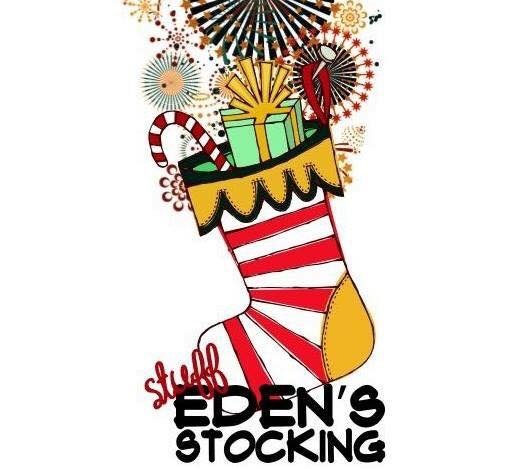 I, along with sanity-saving volunteers, filled 350 stockings to take to OU Children’s for our project Stuff Eden’s Stocking. We organized donations, bought stuffers, ordered Kindles, stuffed and labeled and loaded. All of this “stuff” I chose to do, and, yes, at one point, I was stressed. Heck, maybe I’m always a little stressed. But each task I chose to do was out of love for that task. I love to make presents. I love to show appreciation for those I love. I love the arts and dance and musical theatre, so I chose to do those things, even though they conflicted with this busy time of year. 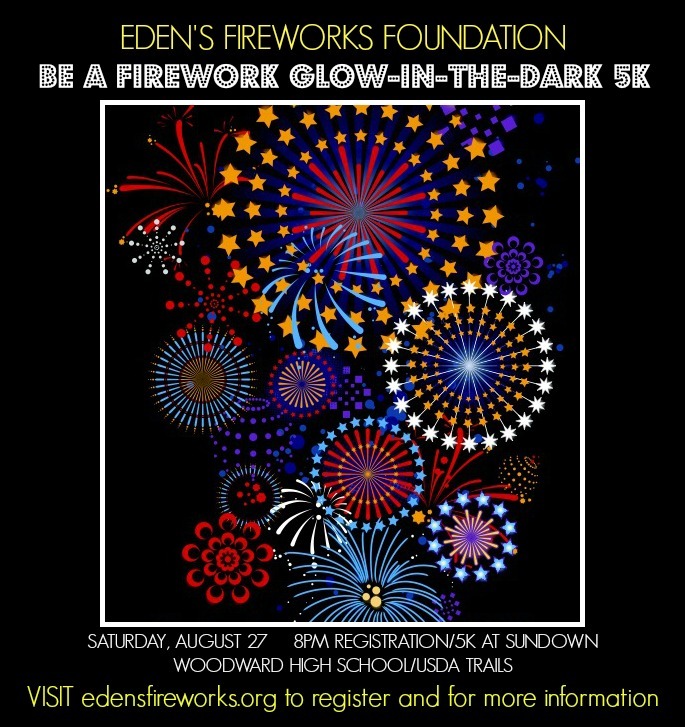 I chose to take on Eden’s Fireworks out of love for those little ones sitting in the hospital fighting for their lives and a passion to be an example of God’s agape love and grace to them. I also choose NOT to do Elf on the Shelf because I don’t have time for it, and, frankly, I think it is kind of silly. I choose not to do Black Friday shopping or mall Santas or cookie swaps (for the most part) or handmade gift tags or a gingerbread house or a trip to the Polar Express. There is a new idea surfacing (or maybe it has always been there) that if you do a lot at Christmas, if you buy tons of gifts, if you have a long to-do list, then you should be guilted into simplifying. If what you are doing is taking the place of your relationship with Christ or is taking over the “Christ” in your “mas”, then yes, you might want to simplify. But to people like me, I doubt we would do it any other way. Please, ask yourself…..Is what I am doing making me happy? Is what I’m doing an example of God’s love and how to love others? If the answer is no to either of them, you might want to reevaluate. If the answer is yes, continue on. And ignore the nay-sayers that try to guilt you into doing less because it is the “right thing to do” or because doing more is somehow the opposite of what Christmas is. Each is free to celebrate this great love the individual way he wants. Guilt shouldn’t be a part of the Christmas equation. It boils down to the heart. Always. I often look at it this way. The same step ball change or pas de bouree that I use to glorify the Lord through dance is the same step ball change or pas de bourree that is used in the latest “booty” video. It’s not the step’s fault on how it is being used. If your heart is not in the right place while celebrating, it’s not Christmas’ fault. It’s yours. If your kids are entitled, narcissistic jerks at Christmas, chances are they are that way year around and the least of your problems is putting less for them under the tree. If there’s one thing I’ve learned over the past 4 years, it’s that life is too short to be doing things for the wrong reasons or to be doing the right things half-heartedly because of wrong motivations. Ask the Lord to search your heart if you are feeling conflicted over the holidays. He will answer. Christmas is only an outward expression of the pure hope and love that was presented to the world over 2000 years ago. If Christ is in us, every day of the year should be an outward expression of that hope and love to the world. If you are not feeling hope this holiday, my prayer for you is that you encounter God before this season closes. He is where your hope lies. He alone is the true meaning of Christmas. We are starting our Christmas project a little early this year! What better way to show how grateful you are this season of thanksgiving than to give your love, support, and stocking stuffers to little cancer warriors! Deadline this year for stocking stuffers is November 18. 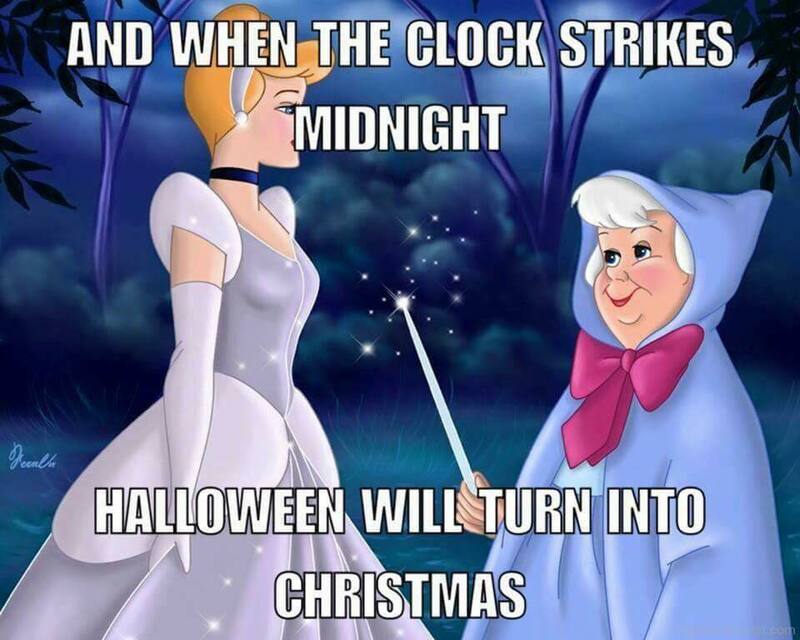 So get to shopping (I know you want to start your Christmas shopping early this year, anyway)!! Need some inspiration? Click on the link below. Giving is always better than receiving. Look Alive! AND happy shopping! I just finished reading the book Unbroken: A World War II Story of Survival, Resilience, and Redemption (not to be confused with another Unbroken book out there). I usually post these reviews on my FB page. A quick overview of the book and then the movie that follows sometime after that. I was on a mission this year to read every book that also had a movie being released this year. I have gotten through most of them, although there were a few that slipped through my fingers. I had friends ask me “Unbroken is on your list, right?” Yes. It was, but because the movie is not set to release until Christmas, it was almost at the end of my list. You know what they say…..last but not least. Words really are failing me at the moment to describe this book. Life-changing. I don’t want to give many spoilers but I felt it necessary to write a little bit more in detail about this book. For those that do not know, the book is the true account of Louie Zamperini, an Olympic runner who during World War II was a lieutenant in the Army Air Forces. In May of 1943, his bomber went down in the Atlantic. After surviving weeks at sea, he is then captured by Japanese military only to become a POW in the most horrifying of conditions that I can personally imagine. As I read the story, I kept thinking what could possibly be inherent in a man to allow the strength and courage and sure-will to survive such an ordeal. I know that I am a survivor of losing a child and several have called me “strong”, whatever that means. But let me tell you, my first few days at sea with no food, water, or shelter from the sun and with sharks circling, I’d be saying, “Take me home to see Eden, Jesus!” And that is the honest truth. So what is it? I do know that attitude and mind-over-matter do have something to do with it, but that can’t be all. At least, not entirely. I know that people must be born with that attitude or inner strength. Some have it. Others do not. Just looking at my kids…..Eve is a born pessimist. Jude an optimist. That simple. Nothing that Justin and I had anything to do with. Does that mean that Jude would have a greater chance at surviving difficult circumstances than Eve? Maybe. Who is to know what a person is capable of until put to the task? But I do know who is capable. And if there was ever a testimony to the fact that God never leaves us or forsakes us and that He can turn every situation to good for those who love Him, it is the testimony of Louie Zamperini. At the end of the book (I’m trying my best to avoid spoilers), Louie realizes that God was along with him through the starvation, dehydration, torture, pain, humiliation, degradation……the entire time. Yes, I believe he had the will to survive, but what if that will came from the only one who could supply it? Louie was not a believer during his time as a POW, but somehow through all the attempts to break him, he was unbreakable. What we face in life aims to destroy us. Break us to the point of no repair. Two things stand in the way of that……the choice to survive and the One who comes to the end of where our strength disappears and takes over. It is something that I have witnessed, experienced, and now have read about in a way I never thought was possible. It truly has little to do with us, but everything to do with Him….the embodiment of hope, grace, love, strength. We don’t even have to be aware of our faith to be touched and changed by the only one capable. I’ve said and have heard others say, “I could never survive that” or “I don’t know how anyone could survive that”. No, I can’t, but, yes, I know how, because I know the One who can. READ THIS BOOK……if it is the last book you ever read. The movie opens Christmas Day. It is directed by Angelina Jolie and has tons of Oscar buzz. I’ve seen the preview, and the film looks amazing. I just hope they do the story justice. 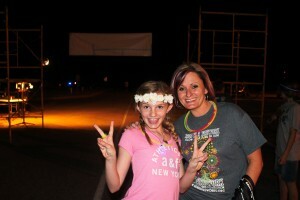 AND for your viewing pleasure……some pictures from the Be A Firework! glow-in-the-dark 5k. A huge success because of our supporters and the One who can….. It is as if we mothers of lost children have a new understanding of death. We understand it more, while, at the same time, understand it less. We feel the loss again and again with every new news of someone passing, young or old, natural causes or accident, no matter. We easily empathize with all the victims and feel their pain deeply. Death is no longer something we view lightly. Yes, it is a part of life, but we have faced it head on. Face to face as it tried to claim us in its path to take our children. It is somehow personal. When our children died, so did part of us, but, miraculously, something else was born in its place. A strength. A softness. A grace. A passion. A wisdom. Grief never truly disappears, but as time goes by a resolve covers it like a vine covers the rails of a fence. It is a strength that says “I survived this…..I can survive anything.” It is a strength that proclaims that we will not be conquered……strength that gets us out of bed in the morning when we are heartbroken. A bravery arises to make those aware, to honor those lost, to reach goals, to make dreams become reality. Strength that dares others to look at their own lives…..to right the wrongs, live to the fullest, jump to new heights. Beneath the strength is a new softness. A new appreciation for the little things cultivates an abundance of grace. We realize that under the smiles might be pain, under the bad days might be real struggles that need love and not irritation. We can go to the grocery store and deal with the rude cashier because once we needed grace, too, and there will be days we will need it once again. When sickness, tragedies, and funerals arise, we are the first to answer the call for food, flowers, comfort, listening-ears. We know not to say things like “God works in mysterious ways” or “God doesn’t give us more than we can handle”. We understand that a word not need be spoken, but support is all that is needed. A hug. A tear shared. A presence felt. You might have met one of us and encountered a passion like no other. A fire to make a difference. A fire to change the world. A passion to let the enemy know that we will not be destroyed. That we will not succumb to death and its destruction. We buried a child so we can do anything. We seek a new order. An order for change, an awareness, a crusade, a cause is not looked upon as something unachievable, but an Everest that can and must be climbed. With each passing of a new soul, the drive to climb accumulates. Love must be shared. Grace must abound in this world, and we are just the ones to do the spreading. Death kills us but somehow makes us wise. We have a discernment about what it must have been like for God to look upon His child as He lay dying, because we have done the same. Heartbreak. Devastation. We do not take for granted the sacrifices God and others have made for us. We choose to do the sacrificing in return. To be the miracles that we need in the world. To take up the cross. To change the status quo. We grasp the concept that life is, indeed, too short. If we know better, we should do better, and that’s what we aim to do. We are not afraid…..of our peers, of opinions, of death. We are smarter than that. We are wiser. All of this is our new reality. Birthdays missed. Graduations uncelebrated. Lives remembered instead of lived. This is who we are now. We did not choose it, but we seek to make good of it. Because of loss we may be stronger, softer, more full of grace and wisdom now, but, oh, that we could make a trade……. 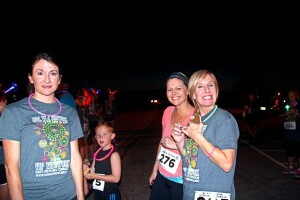 Glow in the Dark 5k is Here!!! Register Now! It’s that time again!!! 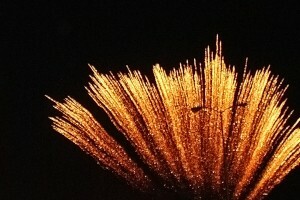 Be a Firework! Glow in the Dark 5k fun run is Saturday, September 20, 2014!! 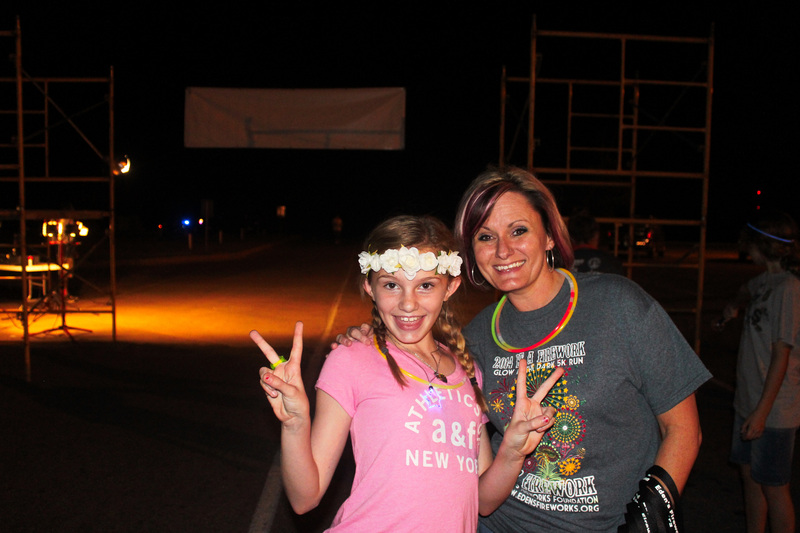 We are ecstatic about this year’s run and are adding even more glow and black-light elements to the course. You won’t want to miss it! 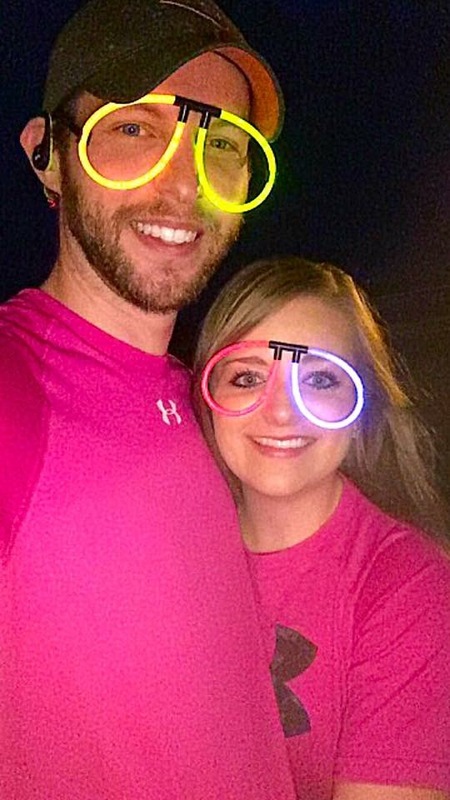 I know all of you are clamoring to know how you can participate in such a “glowing” good time. Here’s how…..
*To insure you are properly registered, all registrations MUST go through this email or this PO Box, please. 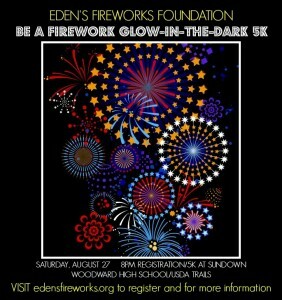 Make all checks payable to Eden’s Fireworks Foundation. 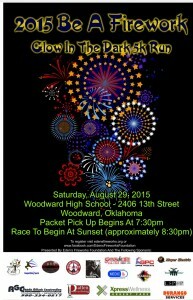 You may pay via credit card by going to our Be A Firework tab and clicking on Donate. 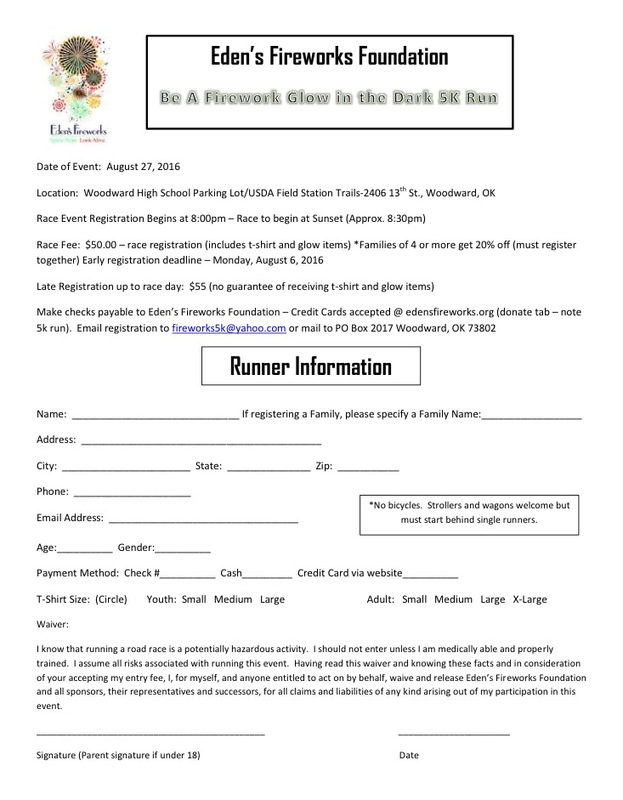 Please leave us a note with a reference to the 5k. New this year!!! 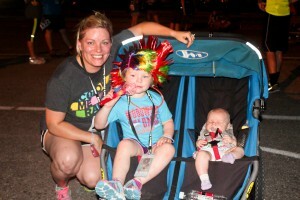 Families of 4 or more who register together will receive a discount of 20%. Deadline for early bird registration and guarantee of your very own glow-in-the-dark t-shirt, plus glow-in-the-dark items and VIP pass is Friday, August 22. So don’t delay!!! We are still looking for run sponsors so if you are interested, please contact us. 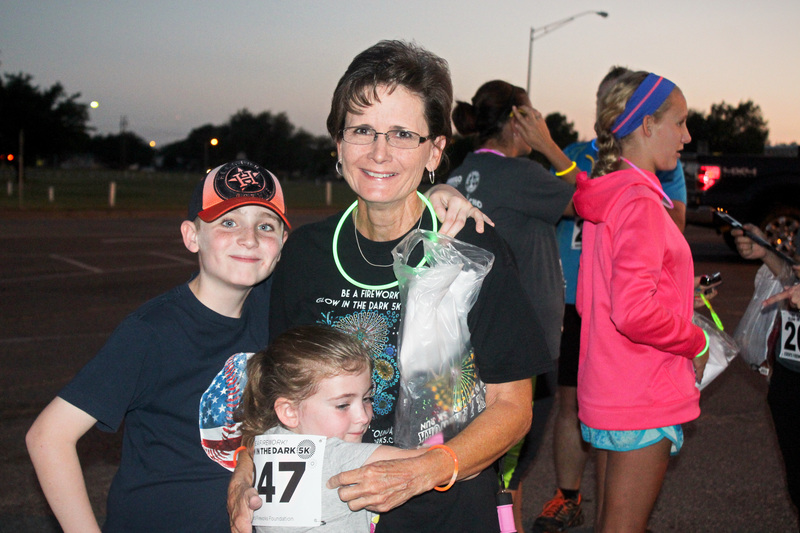 Sponsorship deadline is August 4, and all donations are 100% tax-deductible. 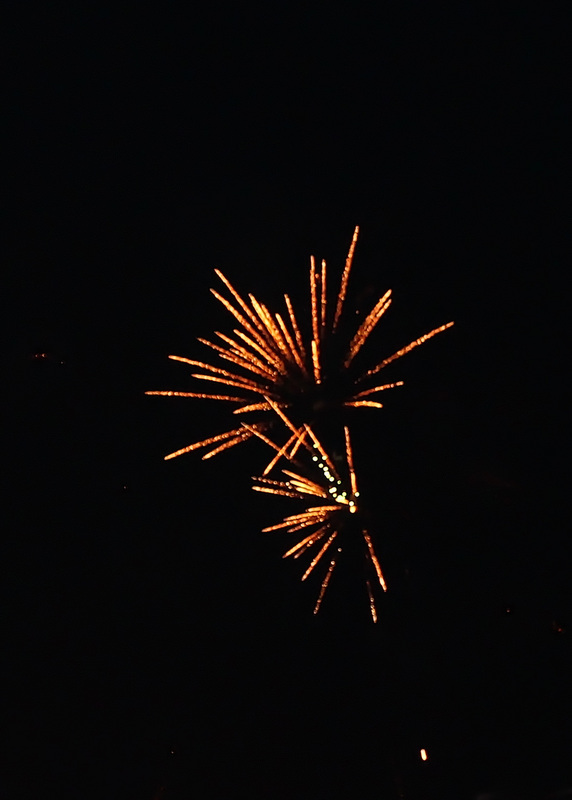 Thanks for being a Firework! 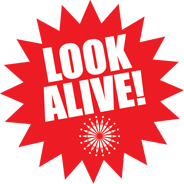 Look Alive!